Vimeo is a video hosting silo and recently started errantly removing independent content that happened to mention the word "Pixels". There was an issue with playback. 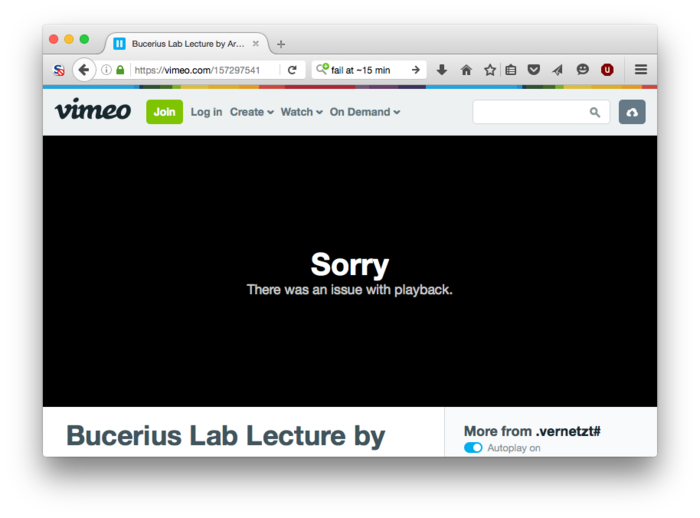 After watching a video for ~15 minutes, Vimeo suddenly stopped with a vague error message.